Michael was born in Belfast, Northern Ireland in 1983. His interest in music began at the age of seven when he started learning the piano, soon followed by cello lessons at the City of Belfast School of Music. A varied education took Michael from Belfast to Dublin, Cambridge and ultimately London. His performing career encompasses solo recital, concerto and chamber music appearances and he enjoys playing both core and contemporary repertoire. See the professional biographies below for more detailed information. Belfast-born Michael McHale has established himself as one of the leading Irish pianists of his generation. Since completing his studies at Cambridge University and the Royal Academy of Music he has developed a busy international career as a solo recitalist, concerto soloist and chamber musician. Michael has performed at many important musical centres including Suntory Hall, Tokyo; Lincoln Center, New York; Symphony Hall, Boston; Konzerthaus, Berlin; Pesti Vigadó, Budapest; the Ushuaia and Tanglewood Festivals, and for TV and radio broadcasts throughout Europe, Asia, North and South America. His début solo album ‘The Irish Piano’ was released in 2012 on the RTÉ lyric fm label and has already been featured on national radio in France, Austria, Canada, Australia, the USA, Italy, Estonia and the UK. The disc was selected as ‘CD of the Week’ by critic Norman Lebrecht, who described it as “a scintillating recital…fascinating from start to stop”, whilst Gramophone praised “the singing sensibility of McHale’s sensitive and polished pianism”. Michael has performed frequently as concerto soloist with the Hallé, Bournemouth Symphony and Moscow Symphony orchestras, the Teatro Colon Orchestra, Discovery Ensemble in Boston, the London Mozart Players and all five of the major Irish orchestras in repertoire ranging from Mozart and Beethoven to Gershwin and Rachmaninov. A recent début with the Irish Chamber Orchestra saw Michael deputise for the indisposed Leon Fleisher in a performance of Prokofiev’s Left Hand Concerto with Gérard Korsten, which was broadcast worldwide on a live online video stream. Engagements in 2013/14 include regular season appearances with the Ulster Orchestra (Liszt Concerto No.2), the RTÉ NSO (Gershwin Concerto) and the Irish Chamber Orchestra (the premiere of Garrett Sholdice’s Piano Concerto) in addition to further CD recordings, solo recitals and chamber music engagements. 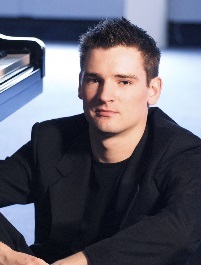 In addition to winning first prize and the audience prize at the prestigious Terence Judd/Hallé Award finals in 2009 (previous winners include Nikolai Lugansky and Stephen Hough), Michael was awarded the Brennan and Field Prizes at the 2006 AXA Dublin International Piano Competition and the 2005 Camerata Ireland/Accenture Award. His teachers and mentors include John O’Conor, Réamonn Keary, Christopher Elton, Ronan O’Hora and Barry Douglas.